Over the years, David Crosby and Neil Young have had -- how shall we say -- their ups and downs. Here is a recent interview with David Crosby on his new album Sky Trails on "Listen To This Eddie". "Listen To This Eddie" is a weekly column that examines the important people and events in the classic rock canon and how they continue to impact the world of popular music. Listen To This Eddie: I noticed you tweeted recently about Neil Young’s most recent album Hitchhiker the other day. Had you heard that before and what was your impression of it? David Crosby: I’ve heard some of those takes before because they’ve been around for a long time. When I heard this record I thought, ‘Oh, thank God!’ Because truthfully man, I didn’t like his last four records. It’s not that he’s wrong about Monsanto, they’re evil people, the records just haven’t killed me until this one. These are the songs and this is the guy I fell in love with. This is the guy I wanted to sing with. I hear these songs and hear what he’s doing with them, and it makes me want to make music with him. It makes my heart swell up. I think he’s really, really good. Listen To This Eddie: Do you think you two will ever collaborate again? Even outside of CSNY? David Crosby: I would work with Neil at any time he wanted to. Right now he’s mad at me because I said something bad about his girlfriend [the actress Daryl Hannah], but I love the guy and would work with him this second. 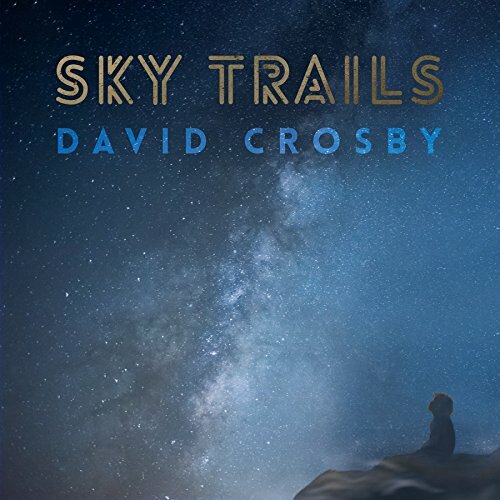 Full interview at David Crosby Talks Neil Young, Marijuana, And His Stunning New Album ‘Sky Trails’ | Listen To This Eddie by Corbin Reiff. Also, more on David Crosby and Neil Young's ups and downs. Words are powerful, and you should know this better than most as you are a songwriter. Your opinions are your business, but sharing them with the world is up to you. You choose to speak publicly and that is also your business. Perhaps a public apology could soften up your relationship with Neil. That is if you wish to work with him again, but again, thats your business. Peace to you David, I'm glad you're still with us. Dan Swan said it perfectly. I don't know whether anything Crosby said was truly accurate in any way. I don't think any of us do. But that almost isn't the point. Crosby didn't help anyone or anything by handling it the way he did. That said, I wish him the best with the new record. Heaven knows most of us have screwed up from time to time. That's exactly why Neil wrote "F***! ?&# Up". To be fair to Crosby, I don't think anything he says above is necessarily particularly controversial. I agree with Dan about an apology for comments made in the past. People in positions of power are used to their clan smiling to their face, currying favour, whilst holding very different opinions in private. That's a path that leads to distrust and resentment. So it's refreshing to them when someone has no fear of sharing an honest opinion (and I'm not talking about malicious criticism), because they know where they stand. That's one of the reasons why people like Briggs, Stills, Poncho and Bolas have been some of Neil's longest-running collaborators and valued friends. As a bit of trivia I spoke to Mrs Lofgren at a Nils concert last year and she had few words of comfort for the road Neil has taken....we'll never know. I think his apologies sound sincere and believable and I don't think his comment was really that horrible. In fact I almost wonder if the reason that NY is so oversensitive is because he wonders if there's some truth to it. She seems like a wonderful sweet lady to me but if it was me I'd write it off to a little jealousy and concern, and not make such a big deal, especially after he said he was sorry... it makes it seem like it's some huge problem, rather than just an incorrect assessment. @ Joel Grant: Thanks for the link. Glad he took the high road. @ John Tewks: Great point.... agreed. @ Andy Walters: I think most of us are aware of your feelings concerning Neil's recent releases, and I must say that although I have really enjoyed almost everything Neil has put out this century I have admired your willingness to speak your mind here on Thrashers. I believe that everyone has a voice here, and I hope you continue to speak your mind. @ Scotzman: As usual, you make a good point concerning the importance of direct honesty with an artist within their inner circle. Without constructive criticism art becomes one dimensional. Although Neil does tend to know what he wants, which may explain why he continues to confound some of his fan base. @ Ian Kertis....Thanks for the observation.... If I had a dollar for every time I've screwed up in life I would be able to retire comfortably by now. Neil Young Tweets A Message From "The Visitor"